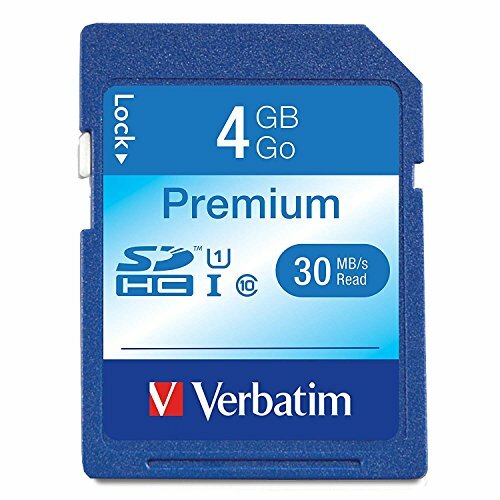 Photography enthusiasts looking for quality performance at a great value will find it with Verbatim’s Premium SDHC Memory Cards. Shoot events in full 1080p HD video or burst photography using your point-and-shoot or mid-range camera. The UHS-I interface with U1 speed ratings ensures you’ll never miss a moment of the school play, weekend soccer match or school basketball game. Read speeds up to 30MB/s let you download and upload files to your computer faster, so you can get back to life’s more important tasks. Make sure your sentimental moments don’t easily disappear – these cards are water resistant, shock proof and temperature proof. Backed by a Limited Lifetime Warranty, Verbatim creates technology you can trust.